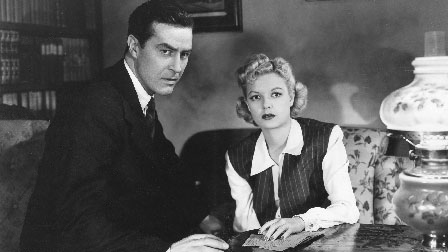 A wartime propaganda thriller, Ministry of Fear has paranoia to spare, but surprisingly little tension. 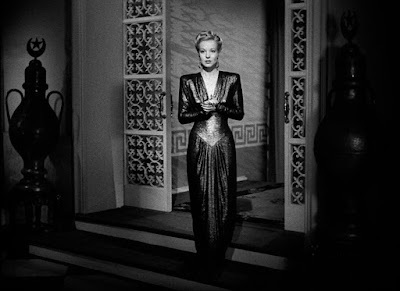 Based on a novel by Graham Greene (The Third Man [review]) and directed by Fritz Lang (M [review]), the film certainly has an impressive pedigree, but what ended up on the screen, though entertaining, feels both half-hearted and half-baked. 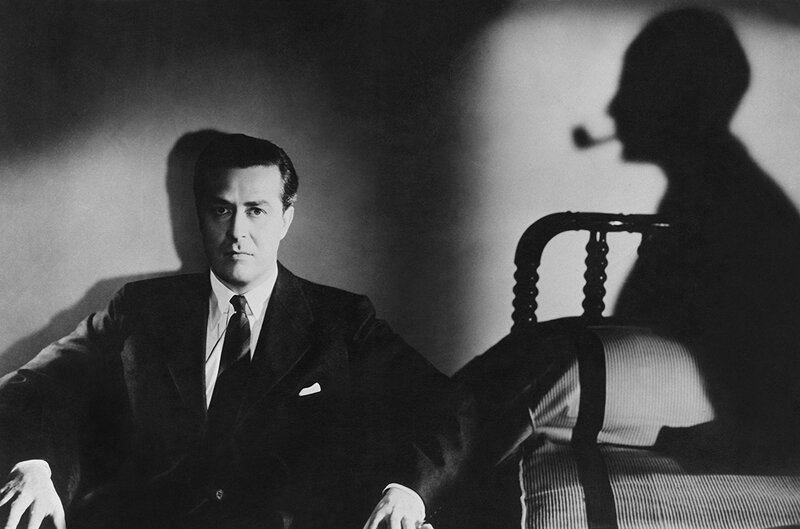 Ray Milland (The Uninvited [review]) stars in the 1944 war picture as Stephen. When Ministry of Fear begins, he is being released from an asylum in the Middle of Nowhere, England, after having served two years of a sentence for an unknown crime--to be revealed later, I won't spoil it here, but needless to say when the truth outs, he's sympathetic. Stephen is eager to get back amongst regular people. On the way to the train station to grab the next express to London, he stumbles on a local fair raising money for charity. Naturally, he joins in the festivities, including going to a fortuneteller. Inadvertently, Stephen delivers the right code words to the soothsayer, and she gives him the correct answer to win a cake at a neighboring stall. A special cake intended for a Nazi spy. Oopsie! It's a scenario worthy of Hitchcock. The wrong man in the wrong place being hunted by all kinds of wrong people. Though he fears trouble--a second crime on his record will likely put him in jail--Stephen keeps his head and starts following the clues. It's a familiar plot style: each new revelation obscures the last and points the way to the next. There’s a love interest (Marjorie Reynolds), and a femme fatale (Hillary Brooke), and eventually a surprisingly understanding cop. (Percy Waram). The fate of England was baked into that cake. Stephen and his American accent will do it for the crown! 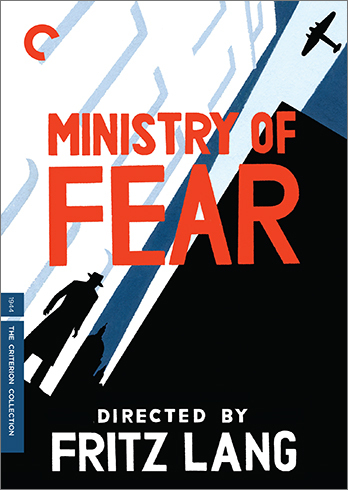 Ministry of Fear is often classified as a film noir, but I'd argue that's not really the case. 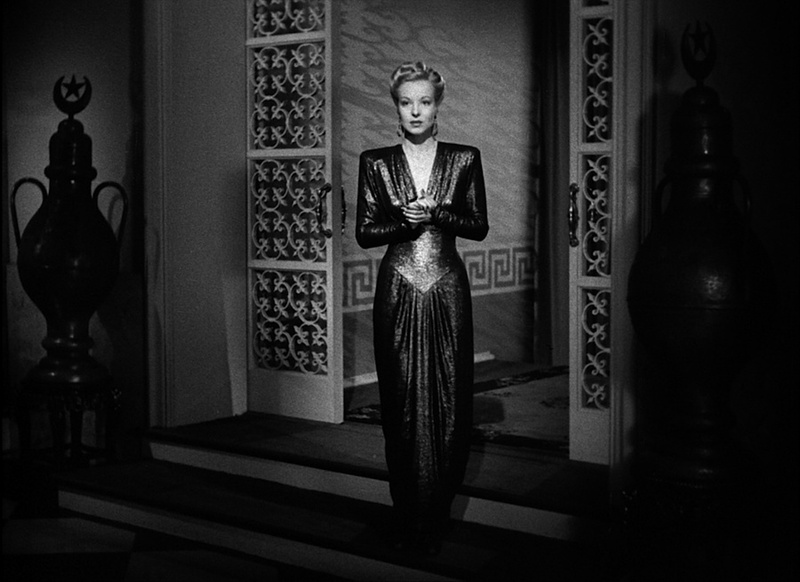 Stephen lacks the cynicism of the typical noir hero (the whole movie does really), and though being one of the masters of the genre, Lang employs none of its aesthetics. Ministry of Fear's visual style is shockingly mundane. The scenes are brightly lit and staged from a locked position in the middle of the room. Good noir angles its darkness toward creating dread; Ministry of Fear seems designed to calm a concerned citizenry and make it feel safe. Likewise, the narrative never develops any urgency, and even Stephen seems to just be taking his time, things will work out. A complaint apparently echoed in Lang’s assessment of the script by Seton I. Miller (Here Comes Mr. Jordan [review]); he felt they had defanged Greene’s novel. So perhaps the director only gave the absolute minimum, thinking that’s all the production deserved. Setting that aside, the movie is fine for what it is: a solid B picture made to run second on a bill. Milland is fine, if bland, the kind of square-jawed yankee in vogue at the time. 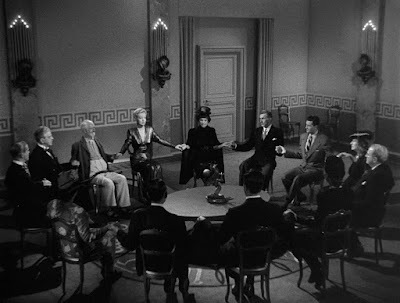 Hillary Brooke proves alluring, and her séance is Ministry’s best scene (and features an under utilized Dan Duryea as the heavy), rivaled only by her exchange with Milland when she exposes her whole con. A sexual spark passes between them as they simultaneously put all their cards on the table and try to guess each other’s next gambit. There’s a chemistry between the performers, and character in their performance, that is lacking in most of the other players. The notable exception being Percy Waram's police inspector--he is a canny investigator, willing to go along and watch to see if Stephen will take the rope and hang himself--but he shows up way too late to salvage things. Where was he in that whole first hour? Waram could have easily been spun off into his own series. Maybe to find all the plot holes and explain why Ministry of Fear characters keep disappearing and reappearing with little explanation. But again, it's all fine. Ministry of Fear is lighter Lang, and should simply be taken for what it is--a well-meaning escape and reassurance for audiences living through World War II. As a historical artifact, it does the job, just don't expect it to go above and beyond. 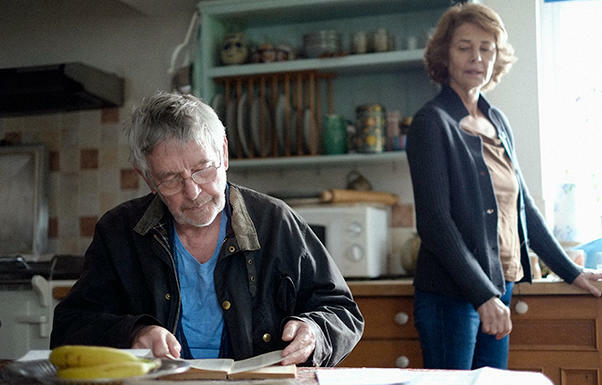 Looked at in a certain way, Andrew Haigh’s finely tuned 2015 drama 45 Years has the cold heart of a film noir plot. A secret sin committed almost five decades prior catches up with a man, sending ripples through his existence, exposing a hidden life no one knew he had. As this past becomes more prominent, it damages his current relationship, and there is no clear indication if he can either atone for his silence or if his partner can forget. Because the past is ever-present. Once you dig it up, you can’t bury it again. In this case, the secret is the sin itself. It’s the fact that Geoff (Tom Courtenay, Billy Liar [review]) kept much of the details of his first love secret from his wife Kate (Charlotte Rampling, Life During Wartime [review]). The full details only begin to emerge under extraordinary circumstances just before their 45th wedding anniversary. Back in the 1960s, Geoff went climbing in the Swiss Alps with his beloved, only to lose her in the snow. During a recent thaw, the girl’s body was found in the ice, and because they had pretended to be married while on the road, Geoff is listed as her next of kin. 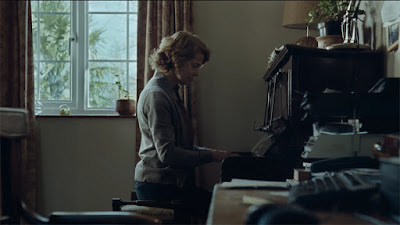 This implies a far more intimate relationship than Kate ever realized, and as Geoff begins to lose himself in memory, Kate fears she is losing him, too. Though, there is some evidence that she was losing him already. 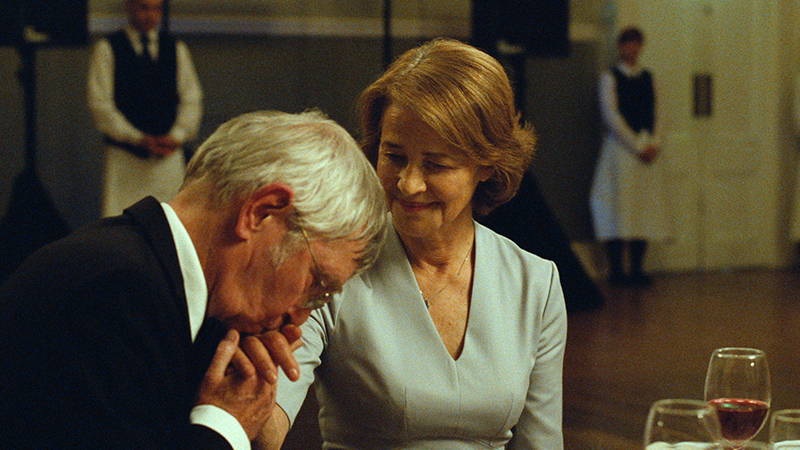 Old age has come to them differently, softening his thought processes even as she remains sharp. Courtenay is brilliant, alternately sympathetic and infuriating, there one minute and off in his own world the next. His thoughts of the lost woman obsess him, and he returns to youthful habits like a thief returning to crime. 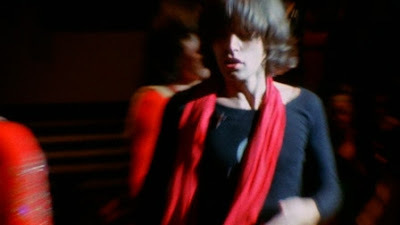 One of their friends describes him as “overly passionate about things,” and indeed, as he takes up smoking and starts to question the disappointing, straight life of his old friends, he starts to appear as an overgrown adolescent. Kate can only watch and wonder and try to pull him back in. Andrew Haigh (Weekend) is taking on a lot here. He’s tossing out big questions. Based on a short story by David Constantine, 45 Years ponders how well we can really know a person, and what secrets we have a right to keep in reserve. Kate remains a rock even as her husband waivers. 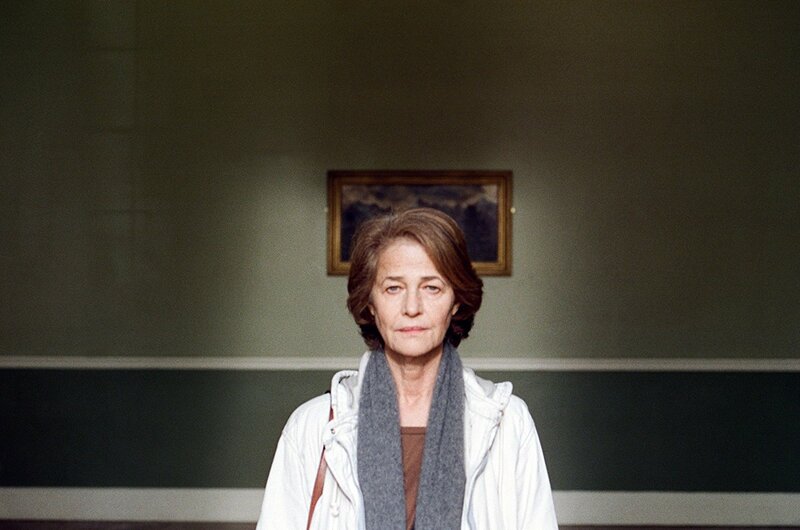 In terms of performance, Rampling is as present as Courtenay is absent. Yet, even in her stoicism, we see pain. Those quiet moments alone, as she contemplates the truth of the situation, we see the grief welling up in her. She’s already lost Geoff, she has to start the mourning process. Or so one can surmise. Haigh avoids explanation, instead inviting us to consider what each spouse is going through. Haigh doesn’t layer on an orchestral score, preferring instead to use only in-world music. Sometimes it’s on the nose (“young girl get out of my mind,” Gary Puckett implores), other times it’s a product of nostalgia, empty in sentiment, reminding Geoff and Kate what they felt once upon a time. 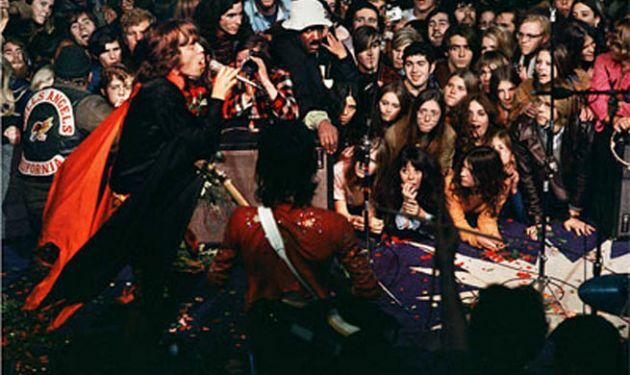 “Their” song is “Smoke Gets in Your Eyes,” a deceptive tune that sounds assured at first, but holds doubt (“all who love are blind”). How complacent have they become, how little has their taste changed? 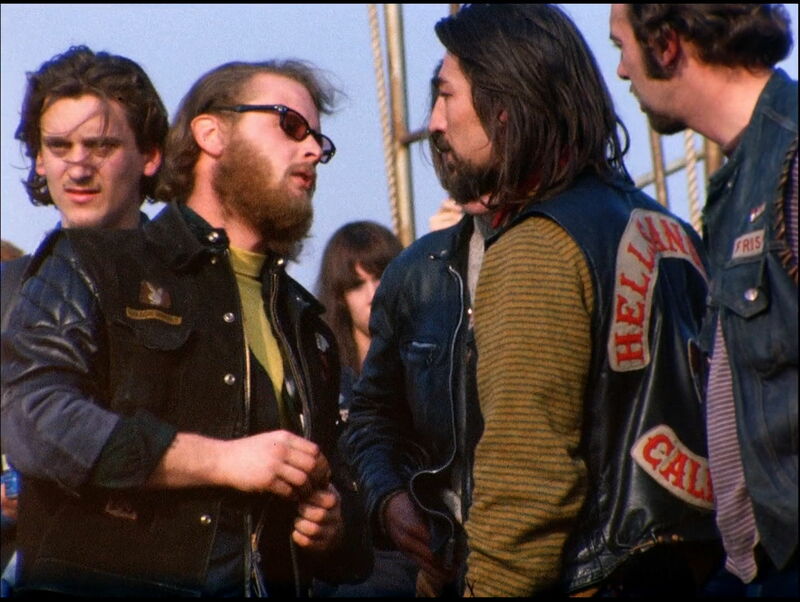 How much of the last 45 years has been a lie? Like a silent detective hunting out the truth, Rampling’s face says it all as Kate tries to clear that smoke put the puzzle together. She doesn’t know what to believe anymore. 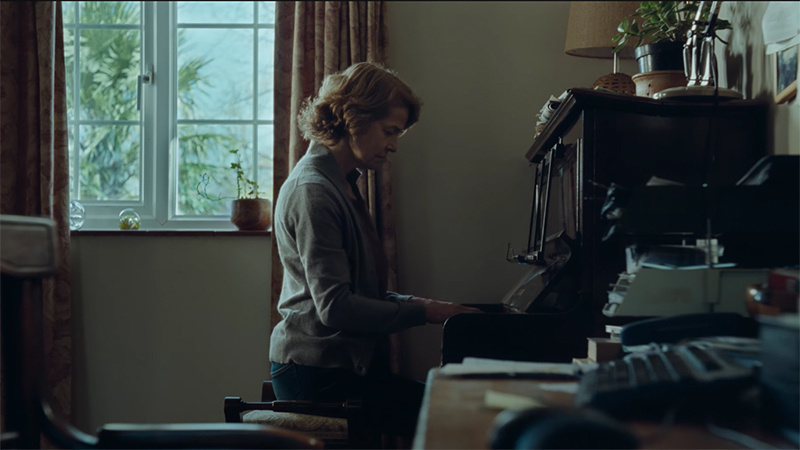 This is where Lol Crawley’s unassuming, stark cinematography becomes a powerful tool. 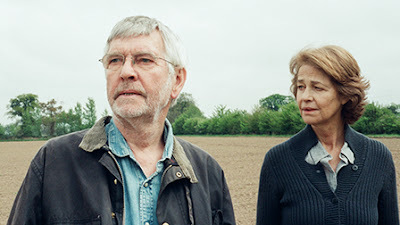 The actors are the thing, and he and Haigh give them plenty of space, recalling in some scenes the Kitchen Sink school of British filmmaking popular when Courtenay and Rampling were starting out, but also more bucolic. They use the English countryside and its misty gray and lovely green to create a sort of limbo where the couple has gotten stuck, contrasting with the unseen, icy grave. “We only get so many choices,” Geoff says at one point, a semblance of an excuse, implying that we only get so much love in our lives, as well. There is an existential dread in that belief, as if our decisions in life are like a genie’s three wishes. Make the wrong choices, and use them all up. But it’s not Geoff that we ultimately figure chose wrong--this is Kate’s story, really, not his, so it’s more her that we have to pity. Because she’ll never know if she devoted her life to a man that cared for her as much as she cared for him. The dead girl was always in their house, always in their bed, haunting her without Kate knowing. And we are left to hang there, as well, unsure of where this story will go next, our heroine trapped in the chilling final shot, not unlike her rival is trapped on a mountainside glacier, never to thaw. 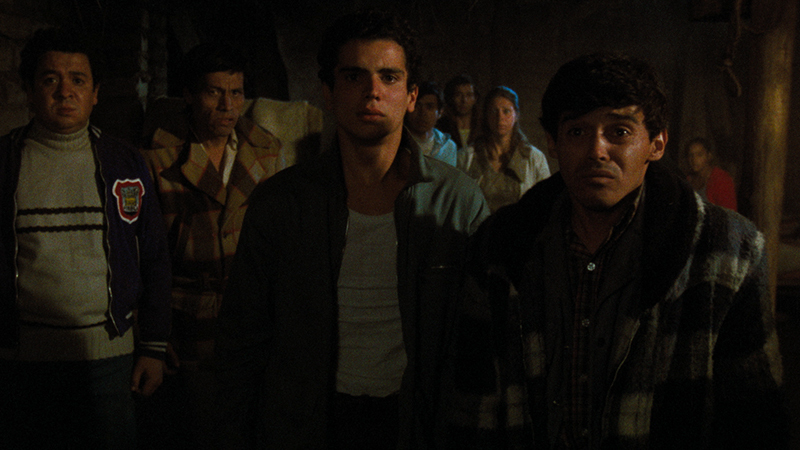 Released in 1976, Canoa: A Shameful Memory is considered a milestone of Mexican cinema, influencing future filmmakers (Guillermo del Toro and Alfonso Cuarón both appear in supplements on this new release) and setting a standard for the local industry to follow. 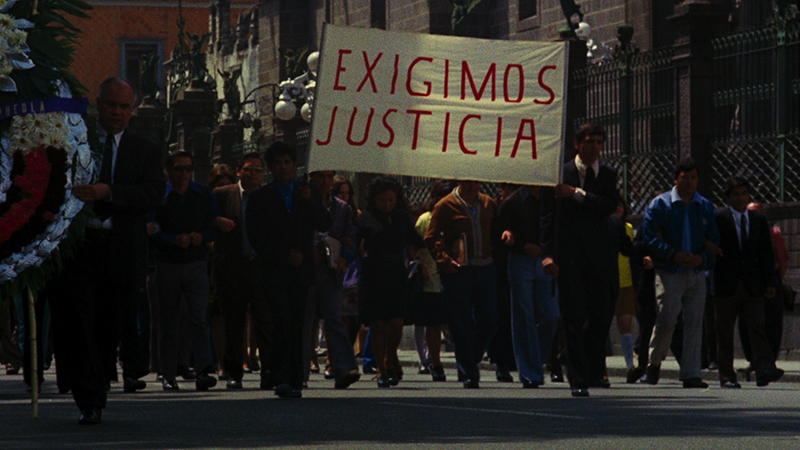 Felipe Casals’ innovative, probing docudrama is equal parts Costa-Gavras and Francesco Rosi. It's dramatic and real and maybe a little long in the tooth, but fascinating all the same. Also, relevant to our times--and like most older films that maintain their bite, I might add, sadly so. 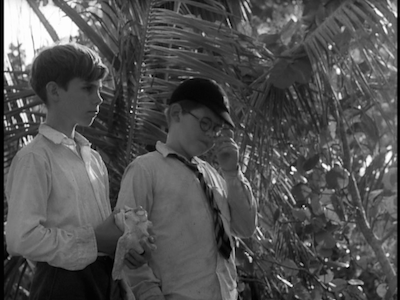 Based on a real-life incident from the mid-1960s, Canoa is essentially a story of small-town hysteria and political bullying. Taking place in the rural village that gives the film its name, Canoa centers around one night, including the preamble and the aftermath, when a terrible crime occurs. The catalyst is the arrival of a handful of university workers visiting the region to hike in its hills. They get off the bus at the start a torrential rainstorm, the severity of which prevents them from traveling further before sunrise. 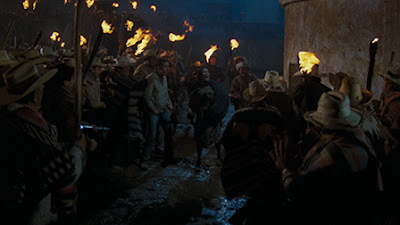 Word of the strangers spreads quickly, especially when they are refused shelter by the town sheriff and the local priest (Enrique Lucero)--a miniature dictator who has been squeezing the town dry for years. His anti-communist rhetoric, combined with his acute paranoia, misleads his congregation into believing the group are activist students who have come to undermine the Catholic church. As tails of their intentions become exaggerated, a mob forms and does what a mob does, ending in several murders. 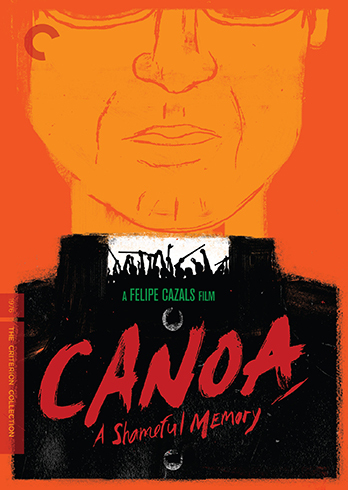 Casals crafts Canoa: A Shameful Memory like a faux documentary, complete with an off-screen narrator and an on-screen witness (Salvador Sánchez). The latter is the most compelling part of the film. A worker from Canoa, the witness gives us the inside dope on town politics, speaking directly to the camera, as much a tour guide as an interview subject. His self-aware, glib cynicism colors the whole of the picture. He speaks with both the benefit of hindsight and distance. Granted, no one asks where he was on the night in question, and we aren’t entirely sure of where he fits in all of this. Not that it matters. He is the outside observer, disgusted yet not surprised. 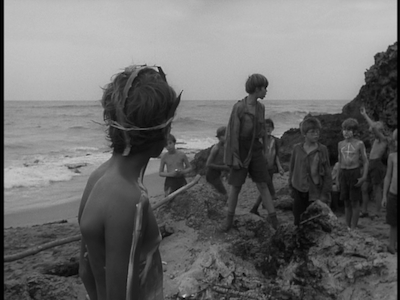 Even in the film's denouement, he already sees the powers that be turning tragedy into opportunity. This witness basically sets the tone for Canoa. 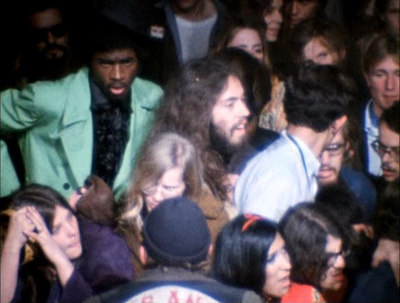 The movie is both real and unreal, an accurate depiction of events and yet a fictional re-creation of the same. 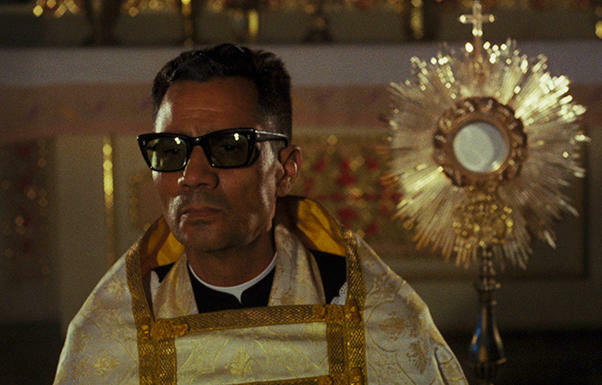 We have access to closed-room machinations with the priest and his flunkies, a narrative conceit unavailable in a true documentary, not to mention an artful POV shot that reminds us that the minister is the shadowy villain behind the whole thing, the noirish lighting shaking off the cinematic grit that otherwise marks the picture. 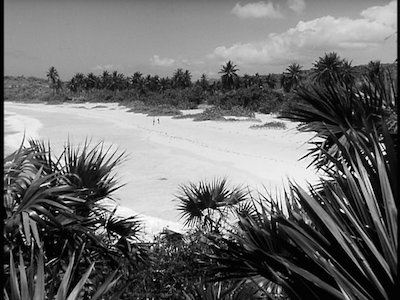 When it comes down to it, most of Canoa’s visuals conform more to the standards of fictional drama than any verité aesthetics. 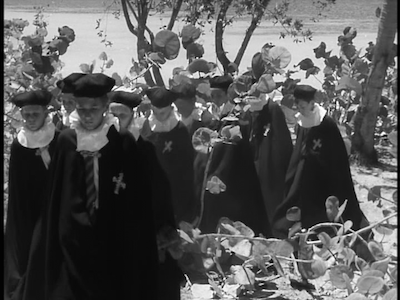 We also see Cazals push the limits of his budget in some of the performances, particularly the university workers, whose expositional scenes in the city are amateurish and contrived. 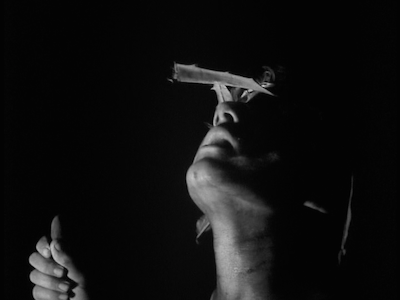 Canoa’s fundamental cinematic constraints are showing. 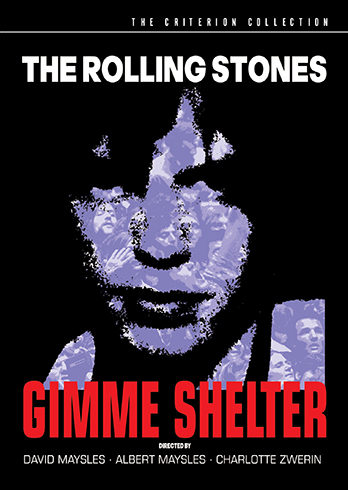 The one exception is the violence that comes in the final act, when the mob comes for the unsuspecting visitors, breaking down the door of the meager shelter they found. Here Casals pulls no punches, embracing the terrible events in all their lifelike horror. The attack is vicious and bloody, and the brutality of it is appropriately unsettling. 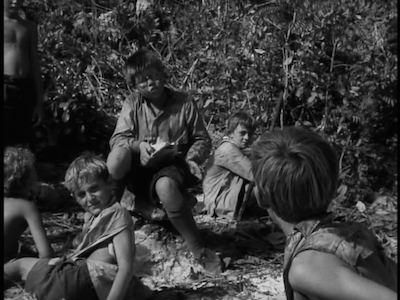 By the time the townspeople come for the outsiders, the truth of their visit is no longer important. In fact, to their minds, the boys’ explanation for coming this way is exactly something lying communists would say to save their skins. The violence is drawn-out and cruel, and Canoa doesn't shy away from some of the harsher details. As shown here, the hive mind succumbs to its most primitive impulses, trading its humanity for self-preservation. But is it self-preservation? Is it even self-serving? They think so, but if we reconsider the info we got at the start of Canoa, these farmers make no real money, and what little they have is siphoned off by the clergy and funneled to its political cronies, sometimes as a trade-off for delivering such basic conveniences as electricity and telephones, other times for delivering nothing at all, the price of an empty promise. That the priest distracts from this thievery by inspiring a fear of the "other" should be all too familiar. Ignore my hand in your pocket, because that other guy is going to steal what I want before I do. And then pay me to "protect" you. Or show me how strong you are by protecting yourselves, you freeloaders! 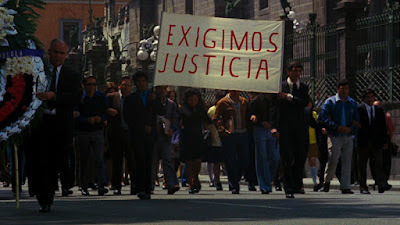 So, despite showing its age in filmmaking, Canoa: A Shameful Memory remains as potent as ever. Swap its decades-old setting for a current one, wherever xenophobia and oppressive rhetoric holds sway, and you’ll find a cautionary tale for our era. One would have hoped that in these "enlightened" times we would be better, that Canoa would be considered fantasy rather than realism, and that such prejudices would have been rooted out--if not in the 1960s then at the end of the Cold War--but if the first few months of 2017 have shown us anything, we haven't really evolved much at all, and we’re getting busy creating a few new shameful memories of our own. 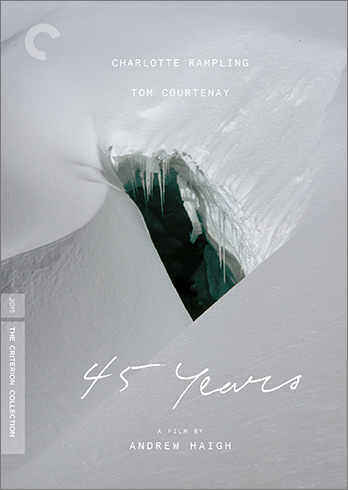 This disc proved by the Criterion Collection for purposes of review. 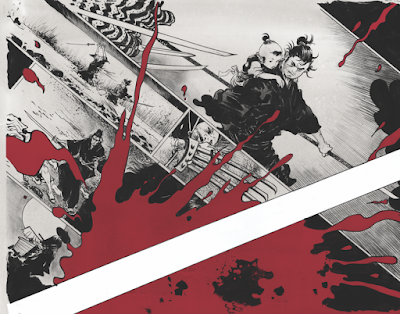 Returning to the Lone Wolf and Cub series after a couple of idle months, I am pleased to discover that even with its initial pleasures a distant memory, fossilized in my back brain, its delights remain no less surprising, thrilling, or stupefying. 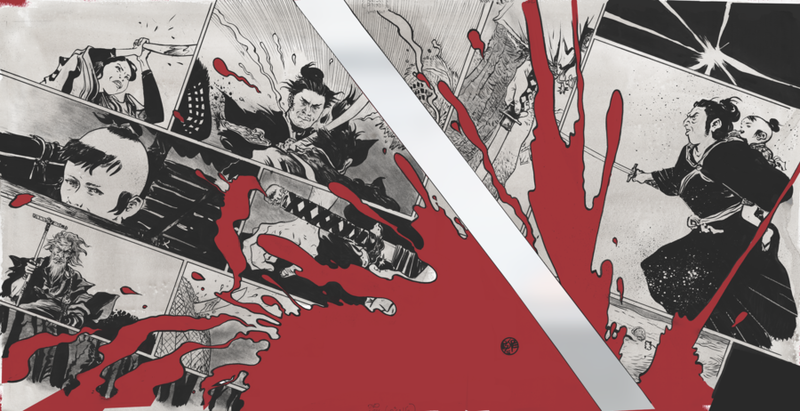 Carrying on with its own individual story, while also letting a few bare threads from the larger plot of Itto Ogami’s feud with the Yagyu drag behind, 1972’s third release, Lone Wolf and Cub: Baby Cartto Hades, continues to escalate the Lone Wolf myth while also creating a more structurally sophisticated individual story. Each piece of the plot builds on the whole, a circular puzzle that will come back around. 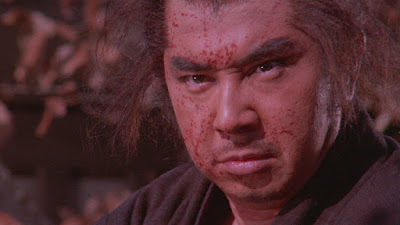 The ronin Kanbei (Go Kato) that father and child (still Tomisaburo Wakayama and Akihiro Tomikawa) meet on the road, whom Ogami spares in a duel out of respect for the swordsman’s adherence to the Bushido, has the least surprising return in the third act, and yet the encounter deepens our understanding of the Lone Wolf’s journey. Baby Cart to Hades is more than a confrontation between these two men, however, but a blossoming of the larger, interconnected world of the samurai, erasing the lines between the underworld and the supposedly more ethical mainstream. 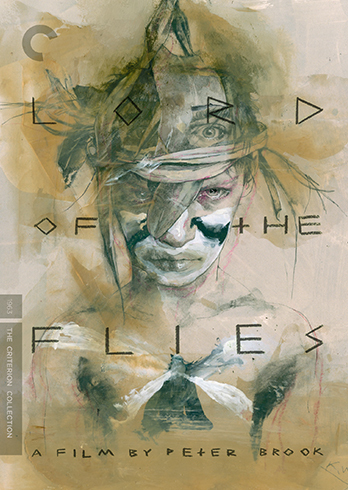 When Ogami stumbles on Kanbei, it’s immediately following the younger man is cleaning up after his traveling companions commit a sexual assault; shortly after, Ogami protects a young girl who killed the slaver selling her into prostitution, recognizing in her a similar grief to his own. And yet it’s another sexual assault that partially motivates her would-be madam (Yuko Hama), to offer Ogami the opportunity to earn her freedom by sending him after a man who harmed her sister and father. When that despicable individual (Isao Yamagata) tries to hire Ogami in turn, not realizing why the killer has arrived in his township, the house of cards is revealed. 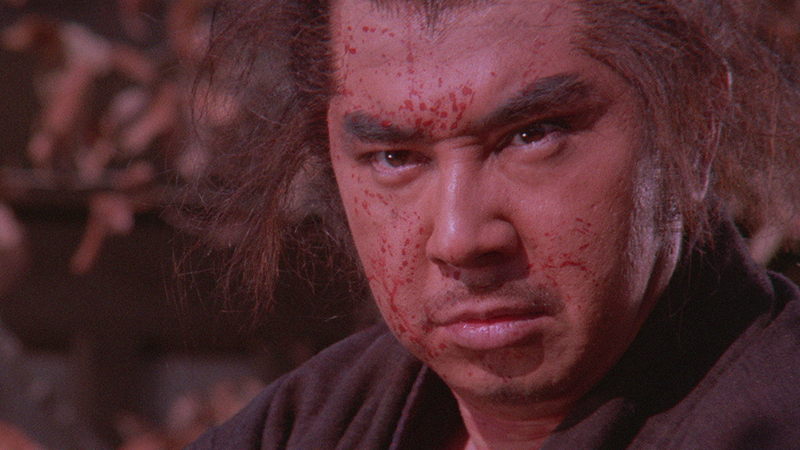 It’s perhaps what separates them from the Cub, from Daigoro, who provides the only real compassion in the series. He takes pity on the kidnapped girl not once, but twice, only to have his heart broken when she leaves them. Did she seem a suitable surrogate mother for the boy? Contrast that with Hama’s madam, who like the prostitute in one of the earlier entries is willing to toss it all away, seduced as she is by Ogami’s animal nature. There walks a true man, a moral being in an increasingly immoral world. Interesting to note briefly how Misumi and writer Kazuo Koike build extra backstory into Baby Cart to Hades, adding flashbacks to other events in Ogami’s journey as if they were call backs to films we already saw. 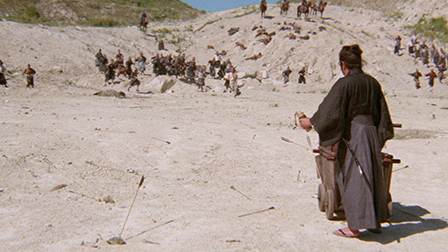 Even visually, Misumi separates them, adding a sepia tone and dialing down the audio, letting the Lone Wolf and Cub beef up its history as it carries forward. And forward it will go, the journey never ending, only one outcome possible...though still three more films to go.